In marketing, efficiency is paramount. Let us deliver smart, targeted, and optimized use of your advertising dollars! We will sit down with you personally, review your past and current marketing history, and set your goals for future success! Using market research we will present you a total marketing plan, including media placement, copywriting, and production. All media will be confirmed, placed and overseen to ensure the meeting of your marketing campaign goals. All campaigns will be personally monitored including adjusting copy if necessary, and examining invoices. 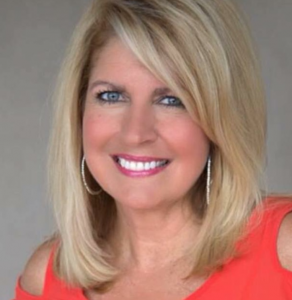 Vicki Rogers has over 20 years of experience in the Advertising Industry as a media buyer, media planner, radio broadcaster, brand creator, voice-over, and on-camera talent. Her inside knowledge of Social Media, Community Relations, Public Relations and all Media platforms, coupled with her heart for non-profit partnerships, and exemplary oral and written communication skills, makes her exceptionally adept at creating and implementing innovative marketing and branding campaigns. Personal service, communication, trust, and timeliness of achieving goals set us apart from our competitors! V Media Group provides personal, reliable, results driven media management. We focus on meeting the client’s timelines, goals, and expectations. Fresh innovative marketing ideas from V Media Group made Dee’s 2018 Spring Spectacular the best ever. V Media Group takes a modern approach to the challenges of marketing and advertising. Vicki’s ideas for marketing our Spring Spectacular and Grand re-opening helped us secure media coverage from several local news outlets, broadening the scope of our reach. All of this resulted in the best Spring Spectacular in both attendance and sales. Larry Olliges, Dee's Crafts Inc.
We have been using Vicki to assist with our marketing, events, social media, and advertising, and we truly love her creativity, personal and prompt service, and innovative ideas! We can highly recommend her services. Ready to make the most of your advertising?